Produced in Valdepeñas, Castile-La Mancha in the heart of Spain ... a region respected the world over for producing the finest sangria. MADE FROM 100% ALL NATURAL-INGREDIENTS. 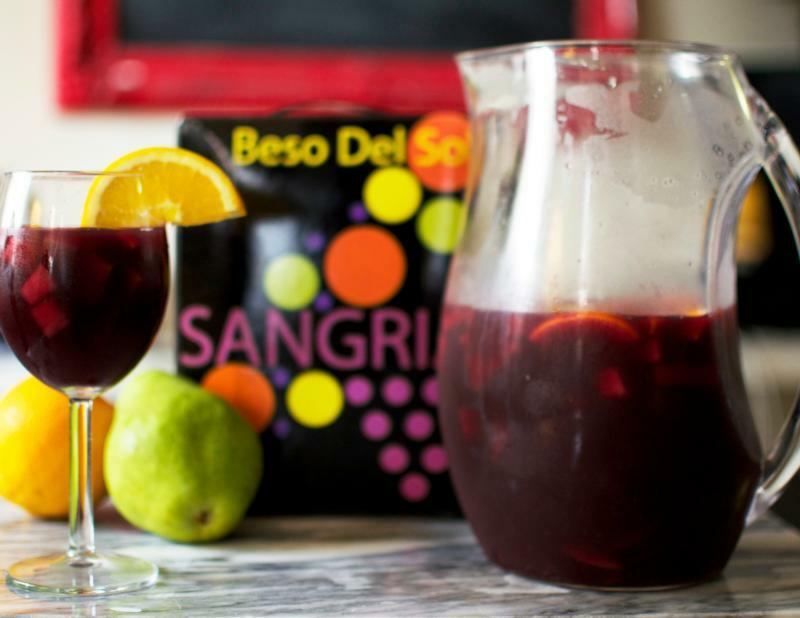 Beso Del Sol is the first super premium Sangria made from 100% all natural ingredients. All Natural white Sangria filled with delicious, SWEET white berry fruit including light peach, apple and citrus for you to enjoy on the GO! The first and only Sangria available in Tetra paks! Fastest growing Sangria brand. All Natural white Sangria filled with delicious, SWEET white berry fruit including light peach, apple and citrus. This 3L container is equal to Four 750ml bottles, and will stay fresh for 6 weeks once opened! No refrigeration necessary! Fantastic!! HIGHLY RECOMMENDED!! SWEET AND FRUITY! !